Any chance it could have been caused by some bad gas? At least they are duplicating the problem. No issues on my end either. 4000 miles on the car so far. Volume at over half is prone to clipping/cutting out. Probably amplifier protection circuits cutting in. Music that is recorded to high quality standards (not seriously compressed) can require up to 10 times the amplifier power during peak music passages as compared to the average sound pressure level. Probably. Nonetheless, it shouldn't occur. What's even worse, is that new Genesis vehicles I've tested on the lot are just fine with the same settings. It's an issue that seems to really degrades over time, and just in time for the 3 year/36k warranty for liability to shift from the manufacturer to the consumer (For 16 MY, they shifted the radio warranty to 5/60 however) Haven't had another car aside from the Genesis that has had the same problem. For those driving a 2015, note that he is driving an older model R-SPEC. Keep us posted on how you make out. Sorry, I was going by the description under your name. I see that you changed it. Any luck getting to the bottom of the issue? None yet unfortunately. Engineering/Techs are working on getting it up and running, last I heard they're ordering a DCM. HMA didn't offer a loaner either. That's a dealer function, not HMA. 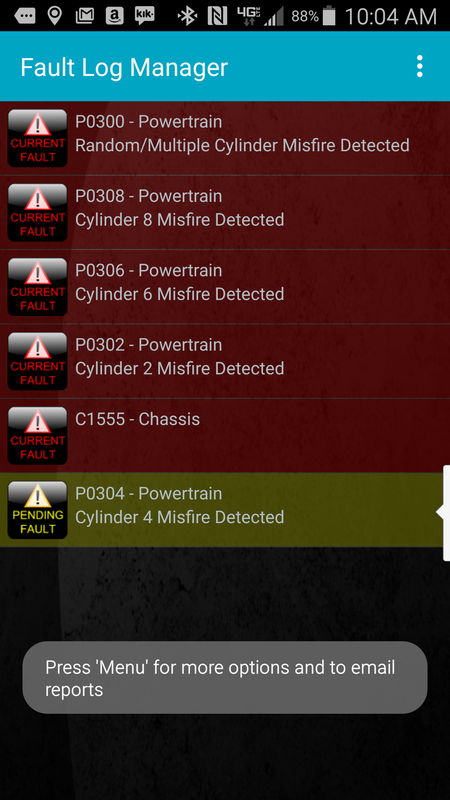 Had the same problem on my 2009 BMW 750i. Dealer replaced all injectors, spark plugs to no avail. Eventually was concluded that the carbon deposit on the valves and intake was the culprit. 2. unplug radio (or amp) from chassis, whichever it is... or both, who knows?! 5. verify head unit is dead, or repeat from step #2. Nearly 3 weeks now in the shop. DCM changed, fuel injectors replaced, but the 2/4/6/8 cylinder bank keeps misfiring. Field engineer coming out to check out the vehicle tomorrow. They should have a loaner finally available on the 1st. Ugh. Good suggestion. Mentioned that to the SM, and he said it may be that, but there's so many different things it can be at this point. Sounds illegal. I'd rather they just fix the car. Still no loaner from the dealer/HMA. Field Service Engineer came out to inspect the car, and determined that it needs a new long block. That's on order, and ETA for all the work completed is Friday of next week. Just over a year and the car has been out of service for 6+ weeks and counting. How disappointing. I love the product - but man, what a service nightmare with the Genesis.